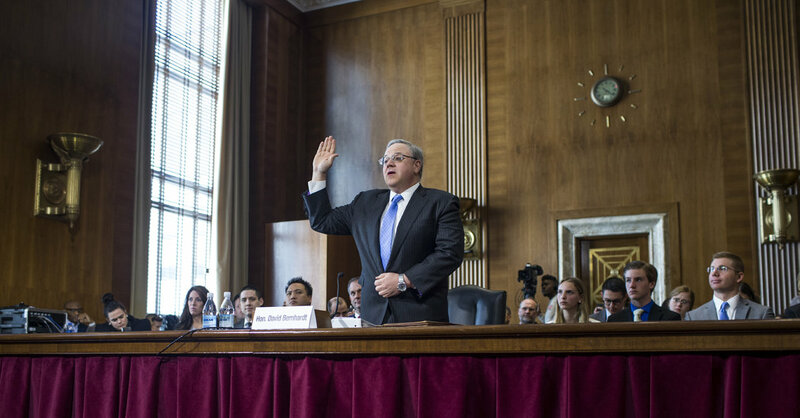 Mr. Bernhardt, a former lobbyist for the oil and agribusiness industries, was confirmed by the Senate last week to head the agency, which oversees the nation’s 500 million acres of public land and vast coastal waters. He has played a central role in crafting policies designed to advance President Trump’s policy of “energy dominance” and expanding fossil fuel exploration. He has been dogged by allegations of ethical violations since joining the Trump administration as Interior Department’s deputy secretary in 2017. Mr. Bernhardt has maintained that he not only did not commit any ethical violations but has worked to strengthen the culture of ethical compliance at the Interior Department, in part by hiring dozens of new ethics specialists. A spokesman for the White House did not return an emailed request for comment. The probe into Mr. Bernhardt’s activities is the latest in a series of ethical concerns around Mr. Trump’s top energy and environment officials since the beginning of his administration. Mr. Trump’s first interior secretary, Ryan Zinke, and his first Environmental Protection Agency administrator, Scott Pruitt, were both forced to resign last year amid allegations of ethical misconduct.